There’s been a lot of complaining and judging going on about Black Friday/Thanksgiving shopping, and I’m here to tell you that it’s OK to go shopping tomorrow. It’s OK. It’s doesn’t make you a bad person. I’ll be there, and I don’t hate my family and I’m not a demon-possessed maniac. I just like shopping, and it’s something me and MY family do together. So, here’s some of my tips, mixed in with a good list I found on the Rochester Democrat and Chronicle website – the best I could find – for making your Black Friday trip a success. I’ll post pics from ours! Shop in waves. Retailers aren’t releasing all their bargains at the opening bell this year. 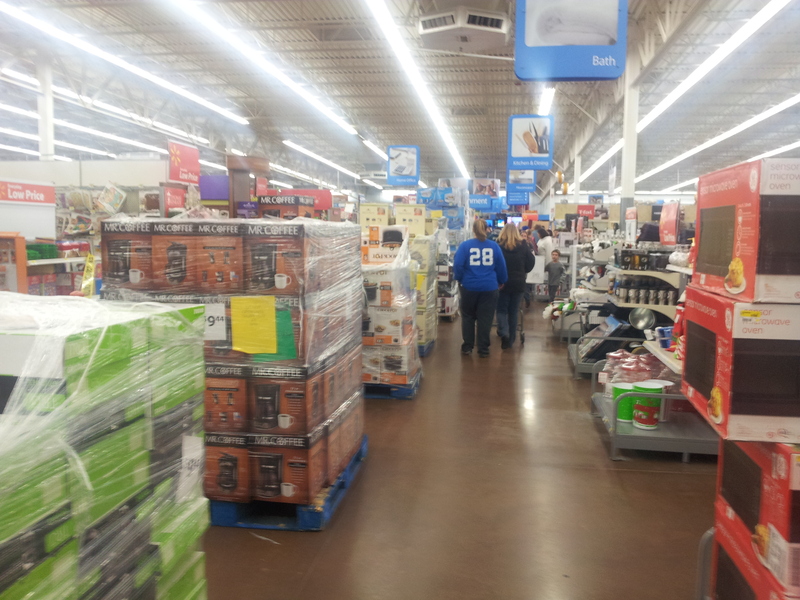 Some, like Wal-Mart, are having some sales at 6 p.m., some at 8 p.m., and so on. The new process is more complicated, but staggering the sales may increase your odds of getting that special deal. Mall stores will also have staggered openings. Decide if you’re a night owl or an early bird and make your game plan. Get social. Use social media to find out about deals as well by following stores on Twitter and Facebook. You can receive extra deals from the stores. You can also track on Twitter if deals are worth it or if sale items are sold out throughout Brown Thursday/Black Friday. Dress in layers. While it’s freezing cold outside, the stores are toasty warm. I wear my silk long johns to stay warm while waiting outside. They aren’t bulky once I get inside a store. Think outside the box. The stores around the central hubs such as Henrietta and Victor will be crowded. If you have specific items on your list, you might try a standalone store. I was able to get a big TV at the Chili Target a few years back without having to wait in line outside in the cold for too long. Shop during the slow times. Every store has a lull time during Brown Thursday/Black Friday after the initial rush. Once the first wave of bargain hunters check out, the stores are easier to get around in. I was at Eastview Mall at 5 a.m. with my daughter the past two years and noticed that stores began to slow by around 7 a.m. By 8 a.m., we were at a not-too-crowded food court enjoying breakfast. Now Trending on Facebook: Shopping on Thanksgiving? One of the biggest stories this week on our Facebook page was the debate over whether it’s OK for stores to open on Thanksgiving in preparation for Black Friday. With stores opening earlier than ever, people are talking about it – and there’s strong feelings on both sides. What do you think? Is it OK to have stores open on Thanksgiving? This Saturday, my mom and I were in the mood for some retail therapy (OK, it was me that needed the shopping trip, but that’s beside the point). I didn’t necessarily feel like going to the mall, but didn’t know where else to get my shop on – so I suggested we try out a place I had heard of but never visited: The Street of Shops in Lewisburg. We went and were so glad we did. It was a fun afternoon of shopping for some unique and well-priced items in a cozy atmosphere. I couldn’t believe I hadn’t been there before with my love of shopping. We did some early Christmas shopping and I got a picture to hang in my house – I spent $14 and my mom spent $20. You can’t beat that. Anyway, it just goes to show you that even as long as we’ve lived here, you can still discover new and fun things in your own backyard. I know we’ll definitely be going back to visit again! Any hidden gems that you like to visit in the Valley? Share them with me! Showrooming is the practice of examining merchandise in a traditional brick and mortar retail store without purchasing it, but then shopping online to find a lower price for the same item. And I am here to confess, that I, Ashley Wislock, am guilty of the crime of showrooming. You see, it’s technically my father’s fault. 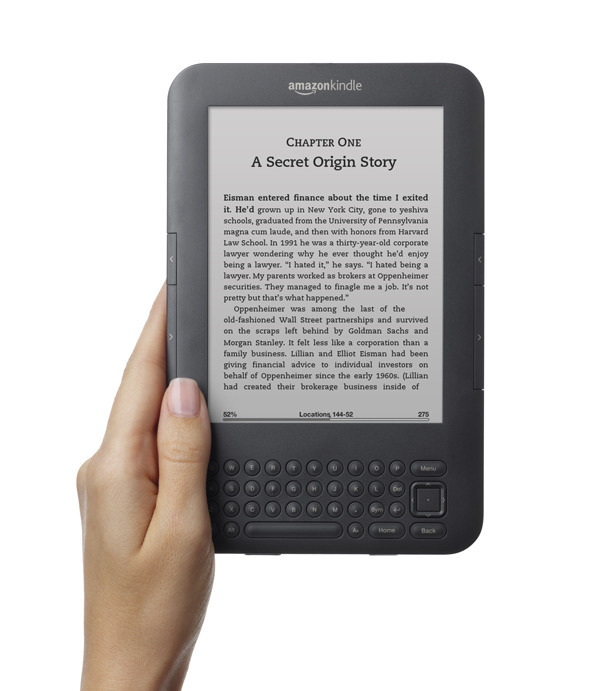 He bought me my Kindle and introduced me to the world of e-books. Since then, I’ve pretty much completely ditched paperbacks for the cheaper, more portable Kindle book. But that doesn’t mean I haven’t been in bookstores lately. I just….um….don’t buy anything while there, opting to purchase anything interesting later on my Kindle. In my defense – well, I guess I don’t have one. I just feed the Amazon.com machine. Oh well. The thing is, I like the fact that I can find any random book I want to read instantly and begin reading it. It’s a long way from dragging my mom to the bookstore and angrily realizing they didn’t have what I wanted anyway. Are you guilty of showrooming? What do you check out before you buy? Black Friday vs. Thanksgiving: When should stores open? Thanksgiving is traditionally followed by my favorite holiday, Black Friday. My mom and I used to get up at 2:30 a.m. and joke that soon we wouldn’t even have to sleep at all, since stores were opening earlier and earlier – first 6 a.m., then 5 and finally 4 (Could you believe it!). But now, it’s happened. Last year, most stores opened at midnight – and this year, Thanksgiving Thursday is the new Friday – and it has people angry, saying they can’t enjoy the holiday with their families anymore. Personally, I’d like to see all stores go back to an actual Black Friday opening. It’s getting to be too much, in my opinion. But will opening later put stores at a disadvantage? 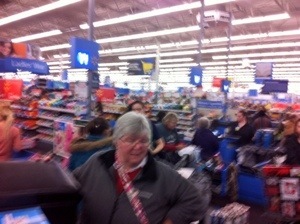 Crowds last year for the midnight openings were the biggest I’ve ever seen them in my Black Friday openings. What do you think? Should retailers wait until Black Friday morning or continue to push the envelope?